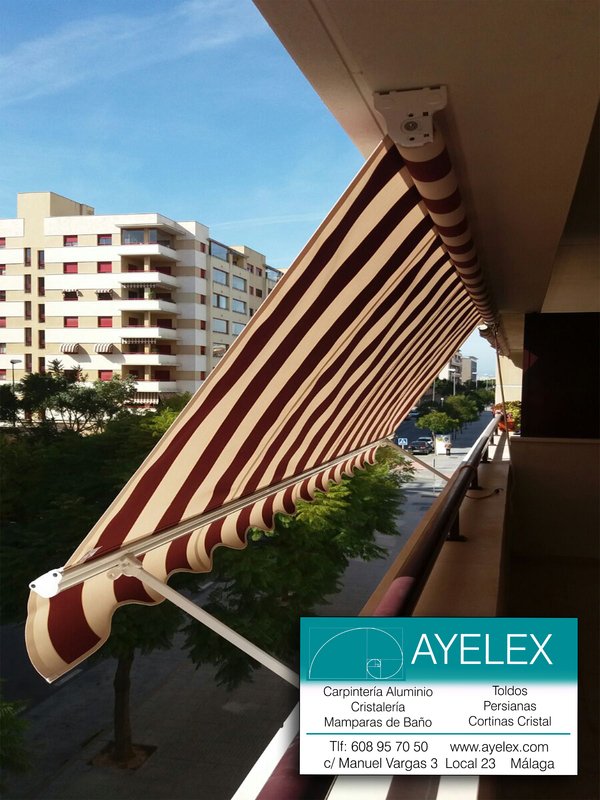 In AYELEX we put at your disposal all types of awnings, to find the best solution to your need. 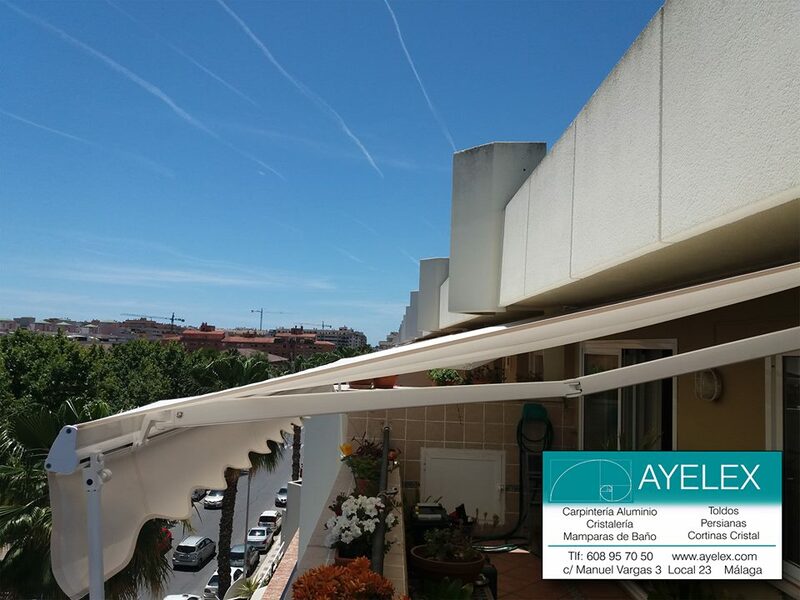 Your Awnings in Malaga with the best value for money. 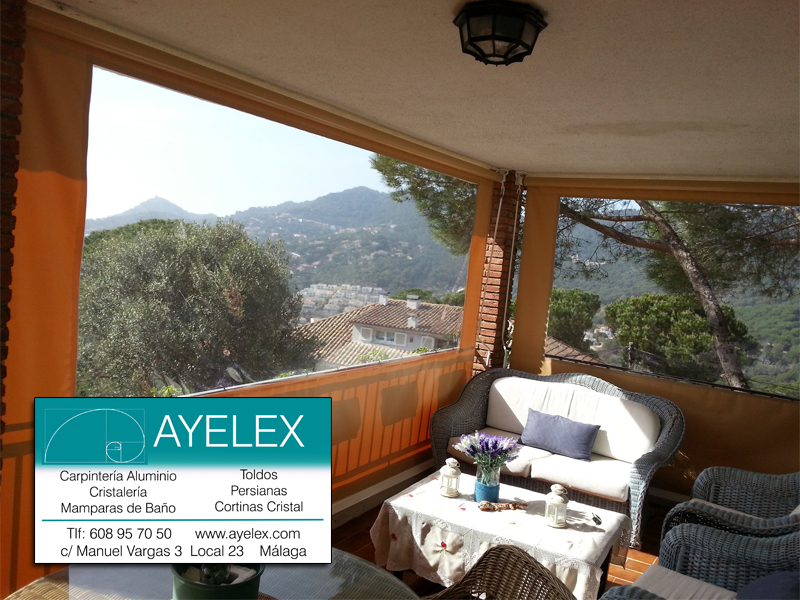 A classic in terraces and balconies. 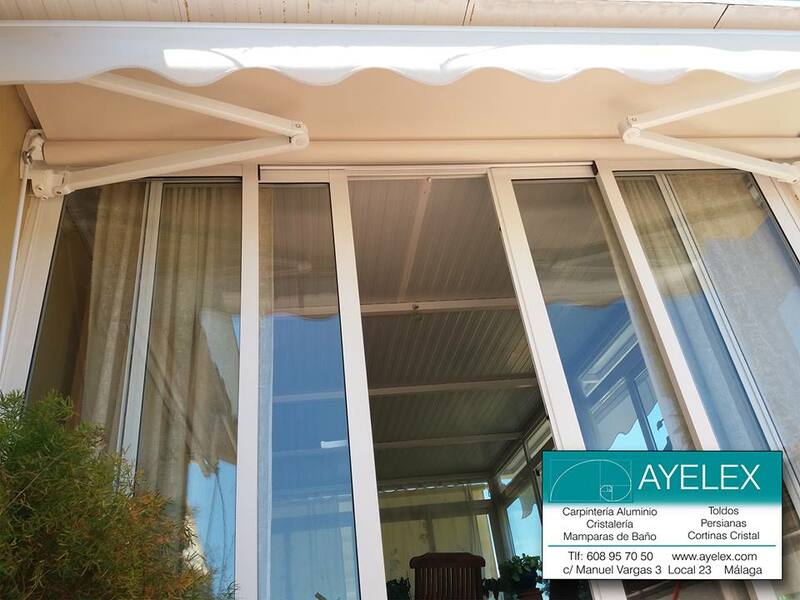 They are awnings with fixation to railing or wall of terrace obtaining a curtain effect in position totally vertical or projected outwards thanks to its folding arms. 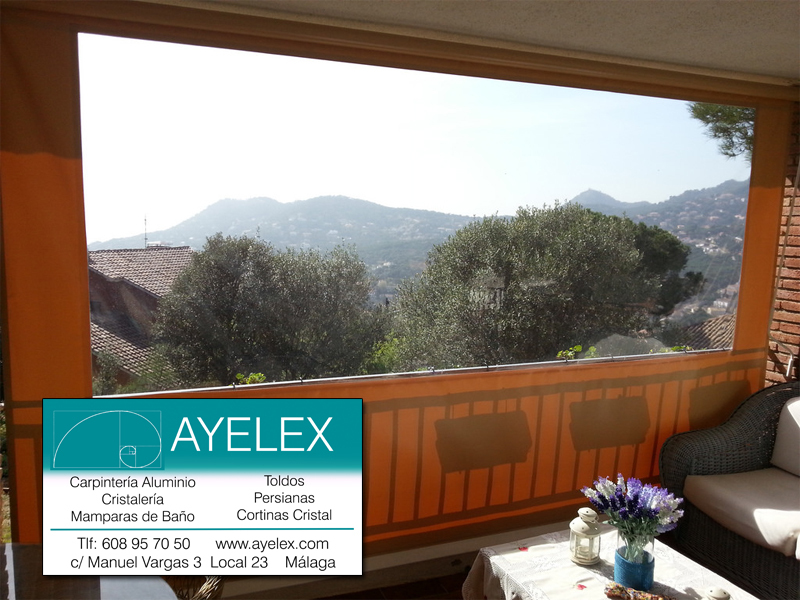 Indicated in cases where we do not have a final anchor point, such as a window without a balcony. 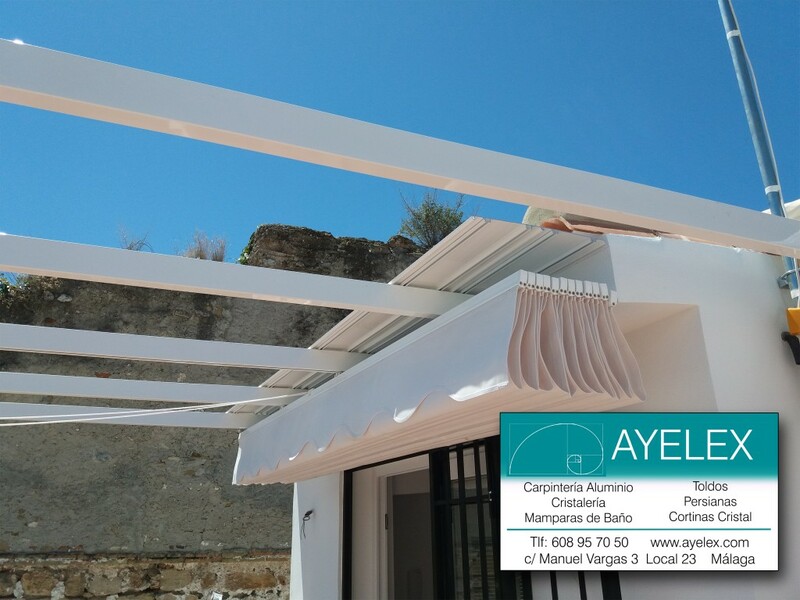 This model comes with arms that will be anchored to the wall, thanks to its internal spring we get the constant tension in the canvas once the awning is extended. 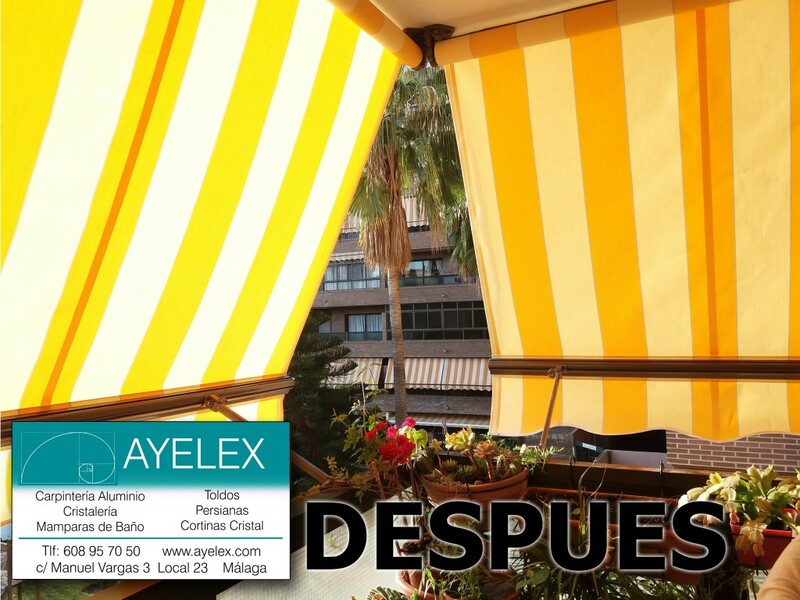 Indicated for windows as it offers sun protection at any time of day. They are collected and extended as a hinge. 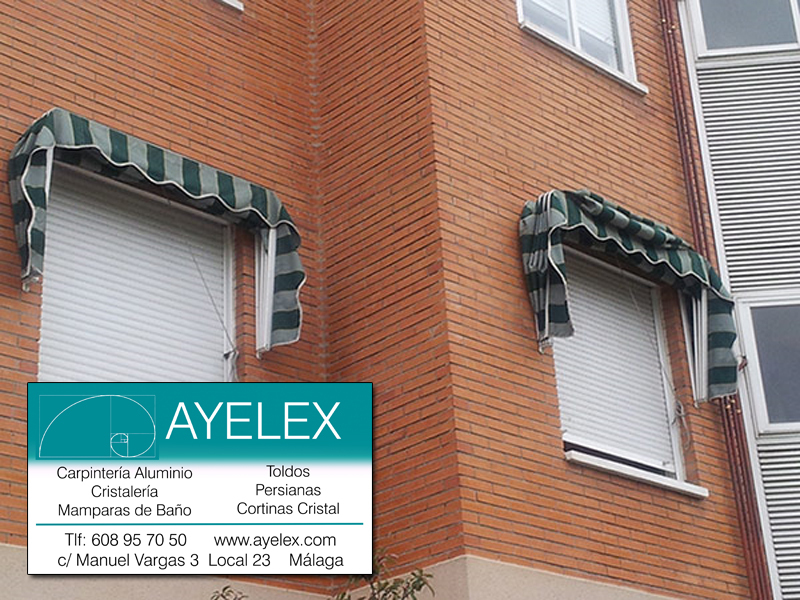 Indicated as complement to pergolas with awnings of palilleria or terraces in which we look for lateral protection. 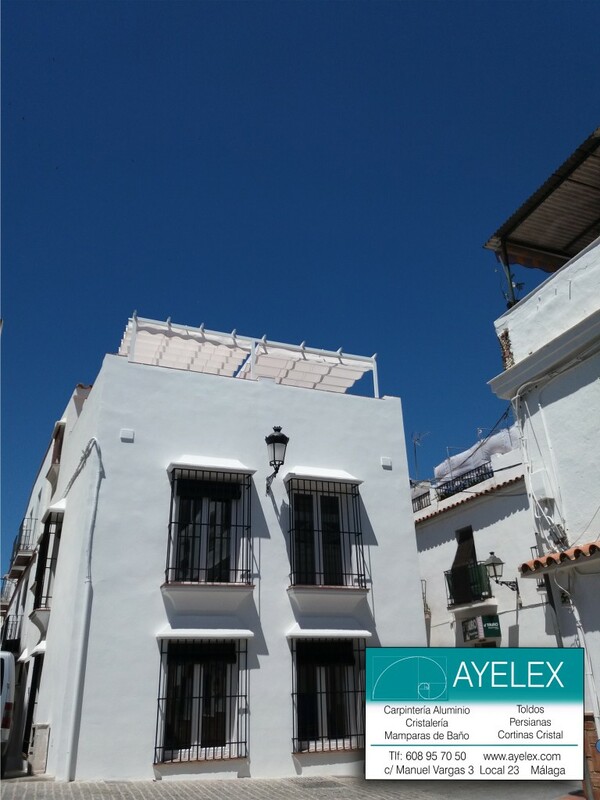 Creating protected spaces in which to enjoy without wind and lateral sun. 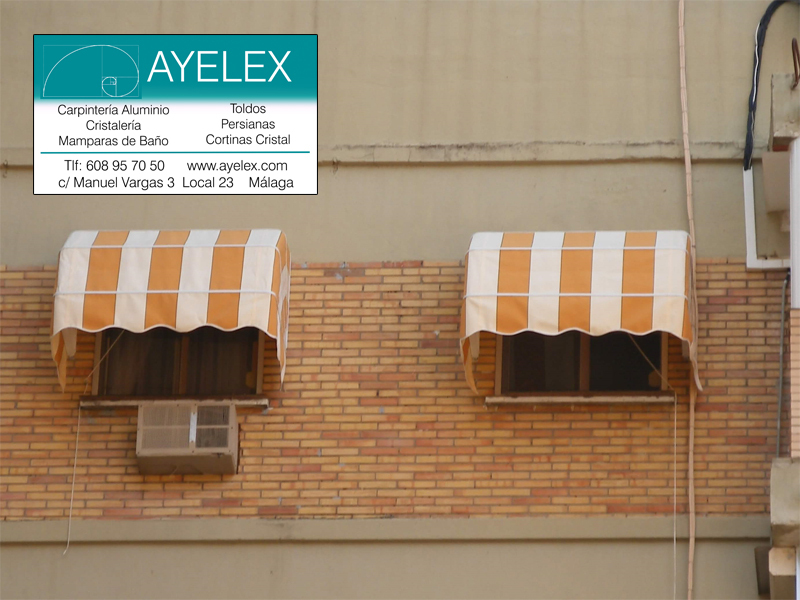 Awnings indicated for installation in places where it is not possible to place structures or guides. 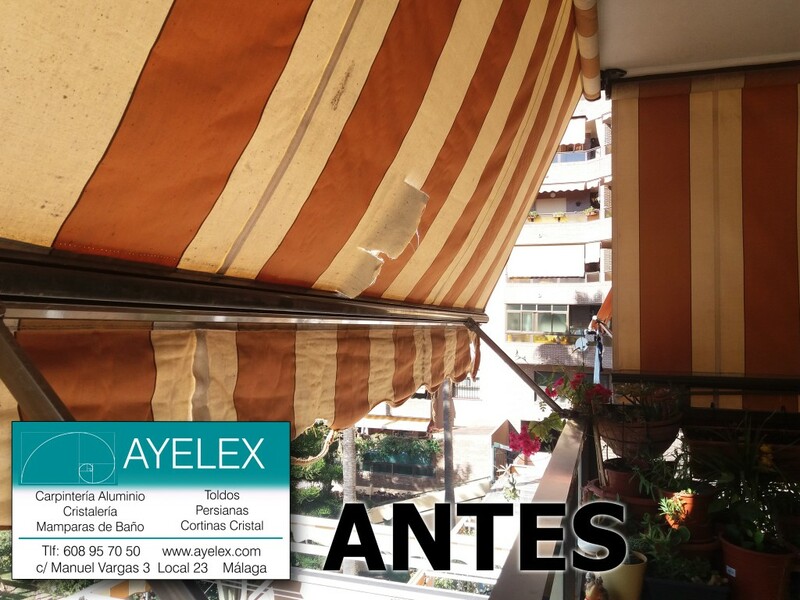 Articulated arms composed of internal springs which will stretch the canvas as we extend the awning. 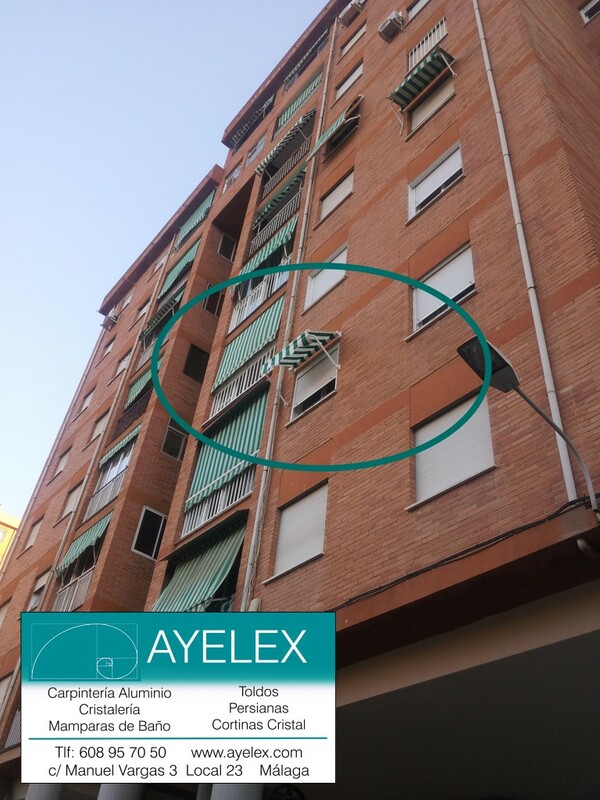 These arms allow a regulation of the inclination of exit from the 90º being totally straight, to the inclination that you want. 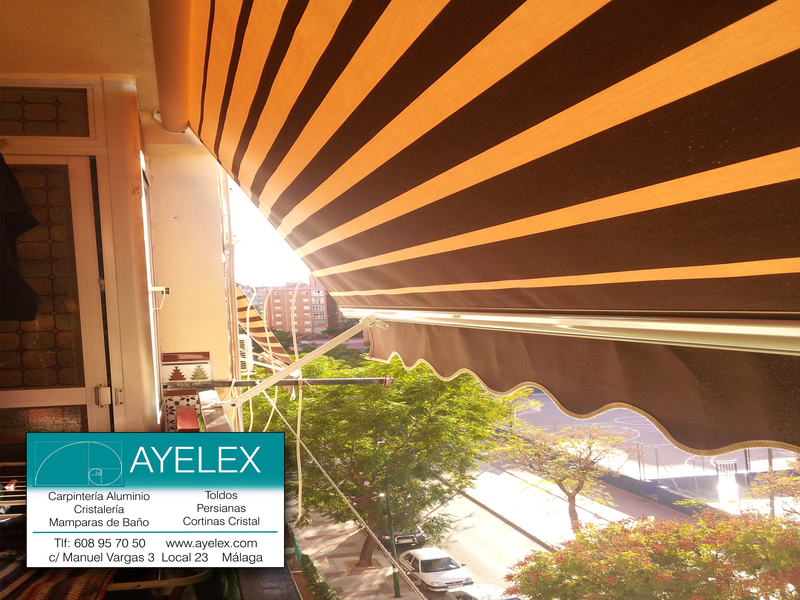 When our need is to protect from the sun a large dimension of terrain, this is our ideal awning system. 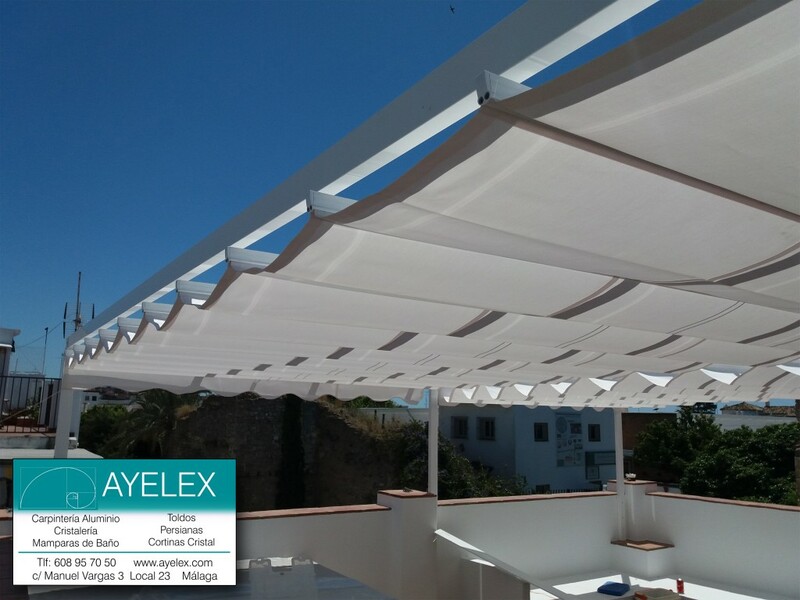 Combining with structures pergola type and vertical windbreaker is ideal to make enclosures in gardens, terraces, patios, swimming pools, shops and bar terraces. 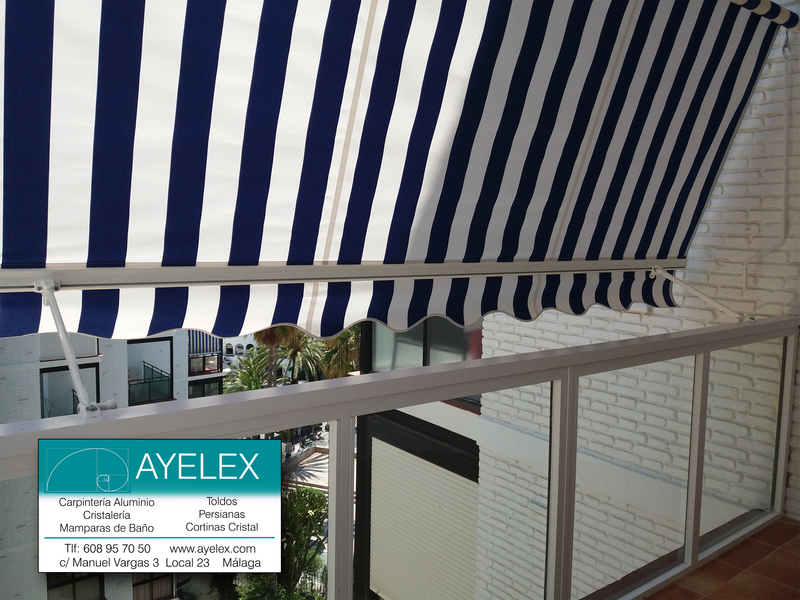 Possibility of automatism and motorization of our awnings, which will offer a greater comfort and protection of our awnings in case of for example of strong wind sudden. 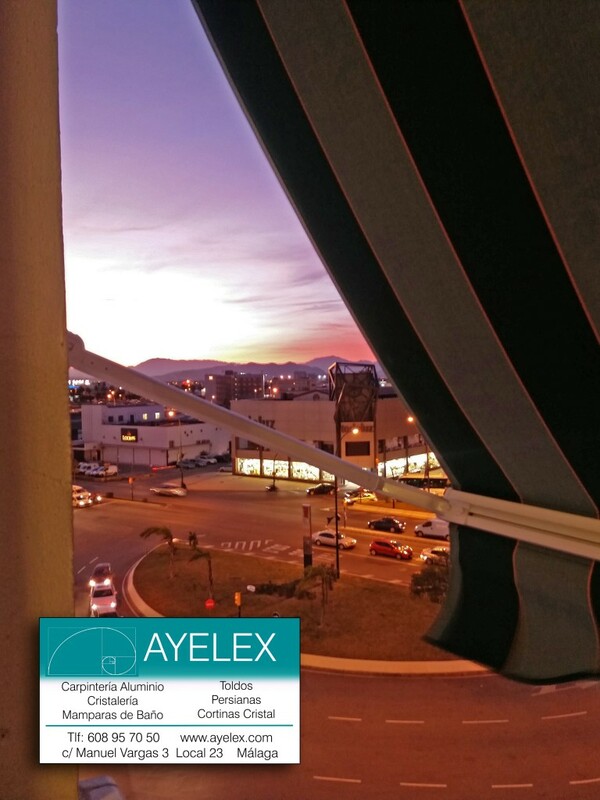 Our wide range of tarpaulin fabrics for tarpaulins and folding covers allow us to find the model, color and design you want or your neighborhood community has established. 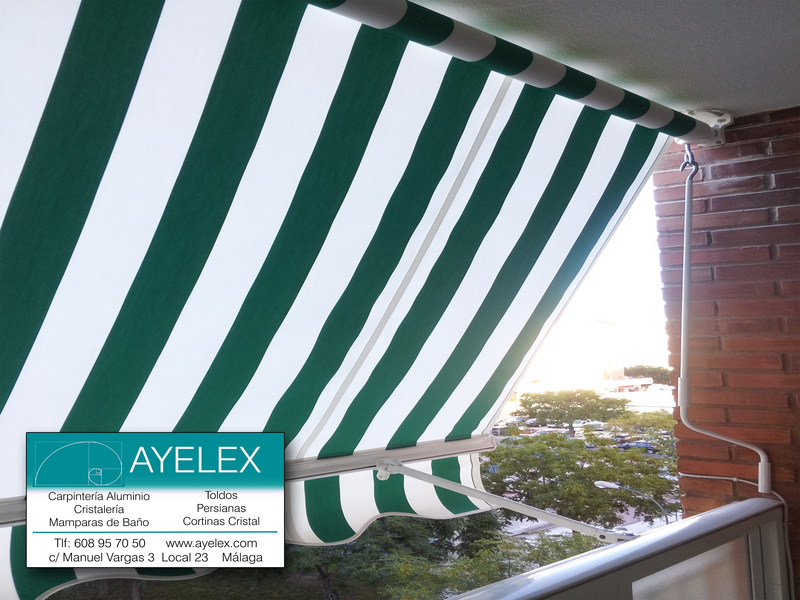 In AYELEX we also carry out changes of tarpaulins to your awning when already bad weather has deteriorated.